This is a documentary produced by the BBC in 2013 – presented by the British journalist Rageh Omaar. Ottoman Empire was in existence for nearly seven centuries and its height, stretched from Budapest to Baghdad – this covers the rise of the Ottoman Empire and also its eventual fall over three hours split into three different episodes. 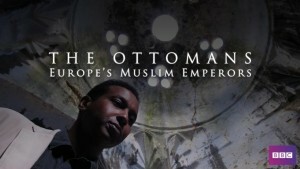 The documentary starts with Rageh Omaar exploring Istanbul and introduce us to the empire founded by a group of nomadic horsemen that stretched three continents for nearly 700 years. An emphasis was also placed on the fact that regions that were historically seen as Christian strongholds such as Constantinople (present day Istanbul), Greece, Serbia, Bulgaria, Hungary, etc. fell under Muslim rule and that there was a Muslim empire right at the doorstep of Central Europe – being Austria. So, how did the empire begin? How did they a Muslim dynasty manage an empire whose majority population was not from a religion of their own? How are they going to establish their authority to rule? All these questions are explored as Omaar interviews historians and an Eastern Orthodox Church priest, the latter who puts forth the views of the Christians who lived in the Ottoman Empire. The producers certainly got their visuals right, be it the Hagia Sophia, the Bosphorus Bridge, Topkapi Palace, Semiliye Mosque – all of them were captured brilliantly. However, this focus on visuals occasionally digressed from the theme, wherein, clips of modern day Turkey made it seem more like a travelogue. The architectural aspects that were being talked about for each of these monuments was interesting, especially the Semiliye Mosque – where the architect was in fact said to be a conscripted Orthodox Christian who was converted to Islam. The Janissaries are quite known to even those who are not Ottoman aficionados – wherein the Turks took Christian boys when they were young and were converted and trained to be powerful soldiers, government officials, etc. How the Ottomans ran that system and how it ensured the stability of the kingdom was explained well and both perspectives were presented, the historians as well as the priest’s. However, it is to be said that it lacked detail in how administration was carried out in the kingdom. I do agree that they covered how the empire managed to balance the religious laws and civil laws and how they had a parallel court system. It was certainly not the case where the Sultan ruled the entire empire residing at Istanbul – even Machiavelli in his book The Prince had explained how Ottomans split their empire into Sanjaks and how the Ottomans established a system different from the European hereditary feudalism, ensuring stability in the kingdom. None of it was even mentioned here and was focused entirely on the glory of the empire. The fall was covered extremely well, starting with their defeat at Vienna and how from being feared, they ended up being ridiculed in Europe as the sick man. The final half an hour was entirely about modern day Turkey and the aggressive reforms of Mustafa Kemal Atatürk which brought about the recovery of the country post the First World War. Atatürk’s aggressive secular stance, pro-Western stance drew supporters and dissidents alike. However, this is where the series missed out – wherein, what was presented was a highly one sided picture of Atatürk. With regards Atatürk, I myself stand for every value that he stood for but with that said, I am sure that there would have been a lot of residents who would have been against the aggressive reforms, such as completely removing religion from public life, banning traditions they have been following for centuries, changing the script of the language, banning every Ottoman symbol, etc. They could have taken the views of people who were against Atatürk as well. If everyone were so pro-Atatürk even today as they project (this documentary is from 2013), we would never have seen the rise of Recep Tayyip Erdoğan and his Justice and Development Party (AKP) who are hard-line Islamists who strongly believe that the empire was glory days; AKP have been holding power for nearly 15 years now. Overall, I would say that this is a good watch – in a totally unintended manner, this documentary has created an interest in a Turkish soap opera - Muhteşem Yüzyıl – a story where a lot of modern Turks feel the empire was unnecessarily glorified but still, is one of the most watched shows in Turkey. This show has tried to appeal to all audiences – the history enthusiasts, the travel enthusiasts and in that attempt to please everyone, this show missed out on a few important details for which I would pull down the rating to six on ten.